Click the button below to send a prepopulated Tweet. Then you'll be able to download your giveaway for free! There are many great looking WordPress Themes. We needed a legible, content first WordPress Theme for our company blog. After a deep research we’ve decided to create our own "child theme" based on "Period" by Compete Themes. 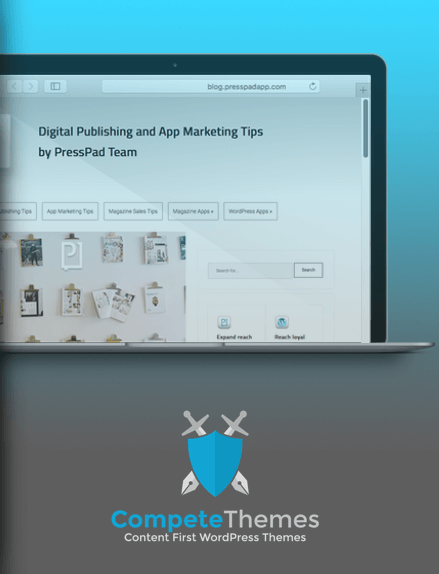 Now, we are giving away PressPad’s blog theme for free. Use our "Child Theme" to improve look, speed and SEO of your WordPress based web magazine, blog or website.